Telehealth, MACRA, and E/M weigh heavily in the 2018 MPFS proposals. CMS continues its focus on quality, value-based care, slowing down the administrative burden for Medicare Part B providers. But even though your paperwork will be reduced, don’t expect too much of a boost to your bottom line. 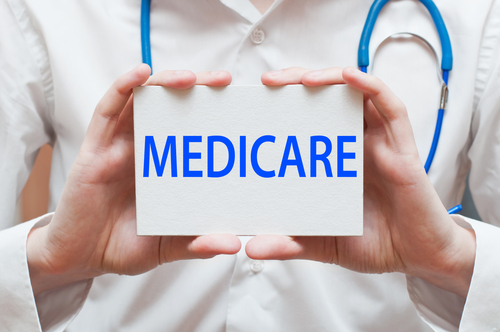 Review: CMS released its “Proposed Policy, Payment, and Quality Provisions Changes to the Medicare Physician Fee Schedule for Calendar Year 2018 (MPFS)” in the Federal Register. With the newest set of proposals and MPFS code revisions, CMS cuts down on much of the administrative burden that weighs heavily on healthcare workers today. Many of the highlights support reduced reporting measures and/or penalties under programs transitioning into the Quality Payment Programs, bringing much needed relief to struggling clinicians and suppliers. As type-2 diabetes prevention remains a central issue in healthcare today, CMS seeks to expand the Medicare Diabetes Prevention Program (MDPP) with more proposals and options for 2018. Background: The ambitious CMS Innovation Model includes a 16-part intervention program designed to help Medicare beneficiaries lose weight through diet and exercise. The MDPP coordinates efforts across provider, community, and supplier boundaries, identifying those patients most at risk for type-2 diabetes and offering education and medical assistance. “The CY 2018 PFS proposes additional policies necessary for suppliers to begin providing MDPP services nationally in 2018, including the MDPP payment structure, as well as additional supplier enrollment requirements and supplier compliance standards aimed to ensure program integrity,” said the CMS fact sheet on the MDPP proposals. Read the news release on the Medicare Diabetes Prevention Program proposed updates at: www.cms.gov/Newsroom/MediaReleaseDatabase/Fact-sheets/2017-Fact-Sheet-items/2017-07-13-3.html. With the rise and necessity of telehealth, CMS pushes forward with more options in CY 2018. “CMS has again proposed to expand the list of covered telehealth services, including adding coverage for Health Risk Assessments, care planning for chronic care management, and psychotherapy for crisis services provided via telehealth,” notes attorney Benjamin Fee, Esq. of Dorsey and Whitney LLP in the Des Moines, Iowa office. CPT® codes 90839 and 90840 (Psychotherapy for Crisis). Other additions reduce healthcare struggles, but some of the cuts have mixed reviews. OPPS rate reduction: The MPFS proposal for non-excepted off-campus departments would reduce Medicare payments for goods and services from 50 percent to 25 percent of the Hospital Outpatient Prospective Payment System (OPPS) rate for the 2018 calendar year. This may surprise some since the current OPPS rate was just introduced in January 2017, and the change is notable, suggests Fee. E/M changes: Evaluation and Management (E/M) codes are amongst the most used codes in healthcare, and much has been made of the MPFS proposal to update documentation requirements for the first time in decades. Stakeholders are confused about the current E/M guidance, CMS suggests in the fact sheet, and need the code rules (History of Illness; Physical Exam; and Medical Decision Making) to be revised. A revamp may help alleviate some confusion, but some experts believe the three current categories go hand-in-hand with E/M coding and must remain intact. MACRA additions: As CMS transitions Medicare Part B to the Quality Payment Programs — the Merit-Based Incentive Payment System (MIPS) and the Advanced Alternative Payment Models (APMs) — adjustments need to be made to allow providers to meet and manage the new requirements of a completely new reimbursement system. Physician Quality Reporting System (PQRS) measures’ reduction from nine to six as it is replaced under MIPS. Advanced diagnostic imaging services claims will be paid “regardless of whether they contain information on the required AUC consultation” for those transitioning to the new payment platforms. 2018 Value Modifier negative payment rate reductions to -2 percent for practices with 10 or more clinicians and -1 percent for solo physician and NPP practices or group practices with two to nine providers. Level II HCPCS modifiers will be used under the patient relationship categories of MIPS. Resource: To read the complete Medicare Physician Fee Schedule for Calendar Year (CY) 2018 proposed rule, visit https://s3.amazonaws.com/public-inspection.federalregister.gov/2017-14639.pdf.